The character of Black Bolt in “Inhumans” is far-reach crafty as its patterns are highly attractive. 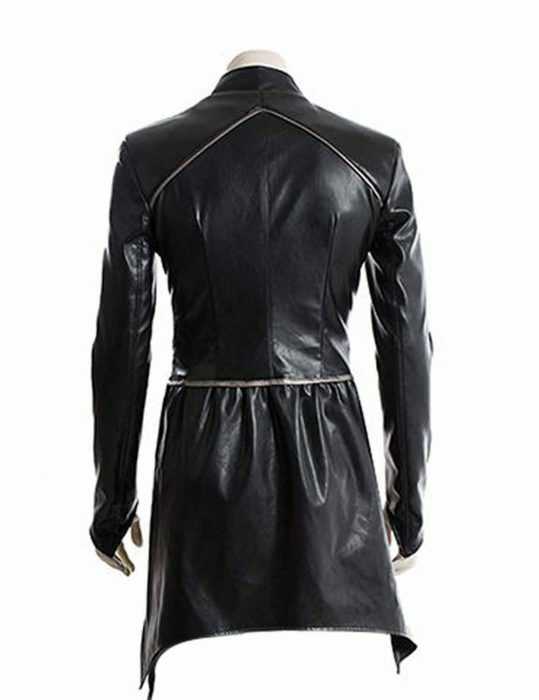 This gear in men’s fashion embraces the qualitative reflection of the real outerwear gimmick to be as astounding as Black Bolt Coat for you to depict on with perfection. 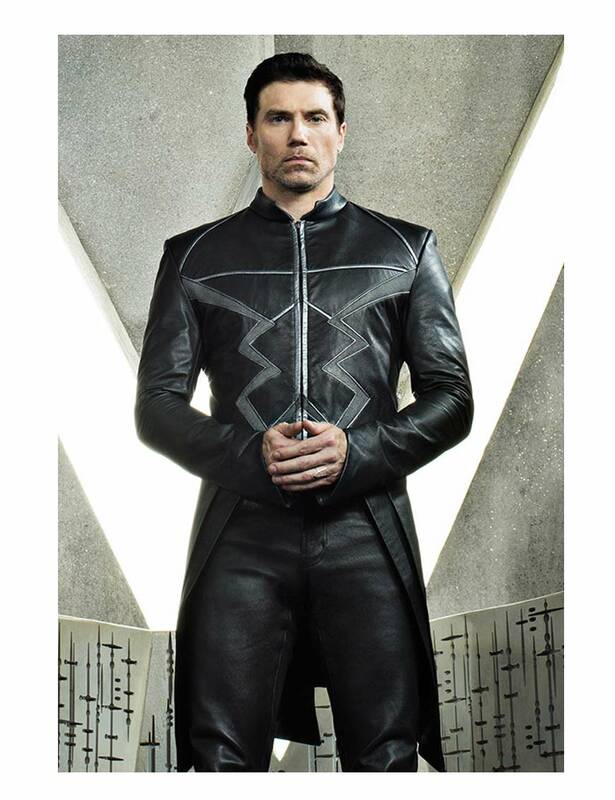 Anson Mount does it all on screen as his strict attitude will speak of himself. 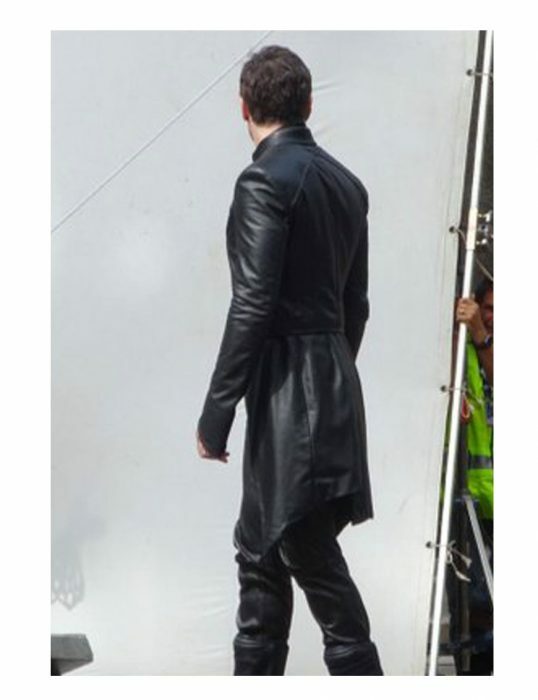 The Black Bold attraction will capture the image for the lifetime as its finest leather material has been chosen for the manufacturing of Anson Mount Coat. This outfit envelops stand collar, frontal zipper conclusion and bolt logo while the full length sleeves having cuffs are remarkable apart from its white piping detail with a classic design over the edge of petite hemline. The overall super standing persona is mirroring one to give you an experience of a lifetime. Nearly original Black Bolt coat Extremely extraordinary genuine calfskin article of clothing. I'm awed and the XL fits me awesome and what makes it extremely an incredible fit is its free open sew sleeves. Silver borders are impeccably sewed on. All around characterized back since quite a while ago molded trench style is extremely one of a kind and looks an extraordinary blind to drag from behind. The YKK zipper is situated with a flawless gridlock stitch seasoning as it streams easily back and forth for your optimal popular application. 5 star and recommended. Hjackets thank you for letting me have a great opportunity to buy from you guys. Awesome and looking forward to shop again from here soon. Stunning and impressive coat. Woah! I wasn't expecting that the quality of this Black Bolt coat to be such a sheer surprise when it comes to even its teeny bit details matching with its legit counterpart. What really hit me on my heart was the silver banding and piping maneuvers - well defined with fine stitching. I got a weight loss in the right time I guess... at first I was a bit bulky... keeping my body fitters aside, especially slimfit jackets and other entrenching body wears. But now I got a great reduction of mass i.e. reached 68 kgs from a tonn of 85 over the last 12 months. Great to see I'm back with my best leather shape ups when it comes to dress more energetically when going outside. Shedding more light to this outfit, the backside trench style is very nicely done while the front is kept neat up with thorough stitching. I'm really proud to get this one and has all aspects accurately devised on this outfit as mentioned on the website. Thanks guys whoever is behind this masterpiece making. 5 star. cheers!! Structured Outfit with sound cost. Structured Outfit with sound cost. I went for an XL sizing and it was well structured. I knew it would be slim fit to my bulky body. I was spot on and got myself the best shaped outfit possible. Quality of the leather is true to the spirit and loved its core scheming of linear sidelines on the anterior. Super crafted and I appreciate the website honesty to its clothing originality. I think you should topple of all those garment geniuses bragging their top selection of materials. You deserve to be first or at least on top 3 on Google in my point of view. Genuine Jacket with convincing looks! Genuine Jacket with convincing looks! 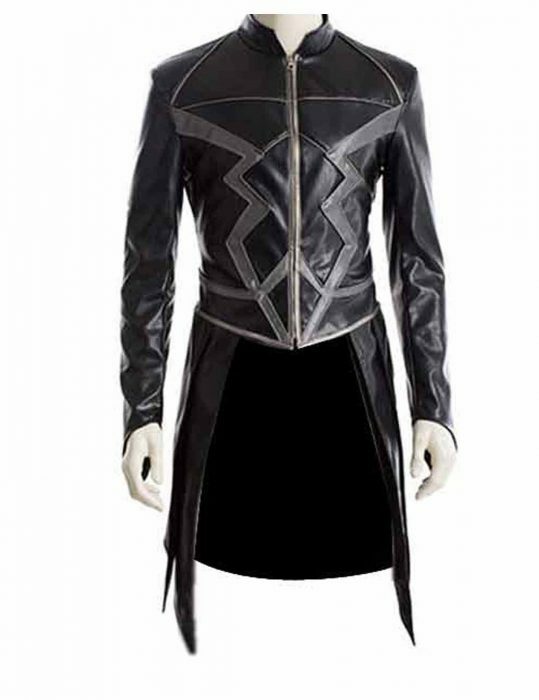 I really loved this inhumans black bolt jacket. What a piece guys! I’d love to see people buy this merchandise if they’re really into that accurate superhero get up stigma. Coming to its built up proportions. Well ordered and tapped up with specs as the particulars stated here. Erudite craftsmanship is what I could see on this phenomenal outfit with a decent cost. Liking the rooted stripe patterns on the jacket. Great quality jacket with accurate renders of the original. Must buy if you’re into it. Ultimate Jacket. Worth buying without hesitation. Ultimate Jacket. Worth buying without hesitation. Top Quality. High resolution garment for a great price. 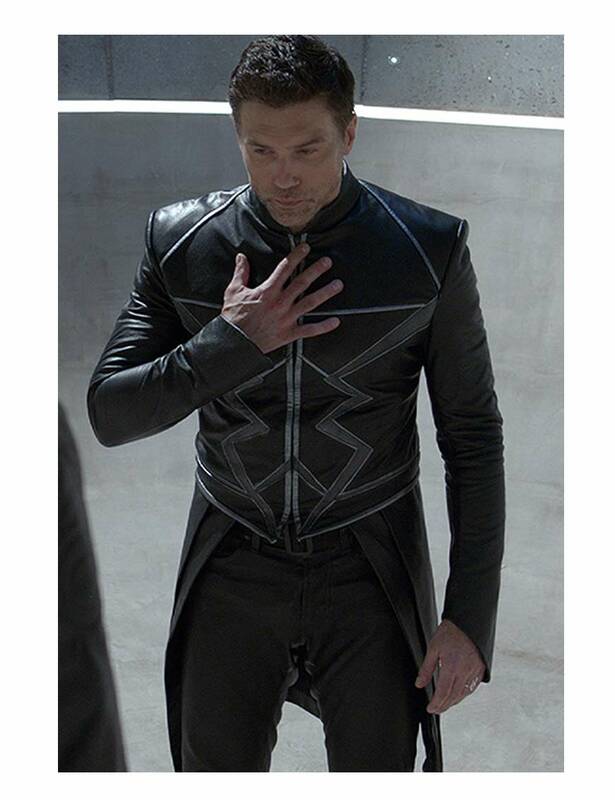 Loved its accurate impression to the original Black Bolt uniform. Thank you for making this happen. I bought two smalls and three mediums for my nephews as well. I am that one uncle who just can’t go wrong when it comes to cosplaying. Gerald K Perez I went for an XL sizing and it was well structured. I knew it would be suitably fit to my bulky body. I was spot on and got myself the best shaped outfit possible. 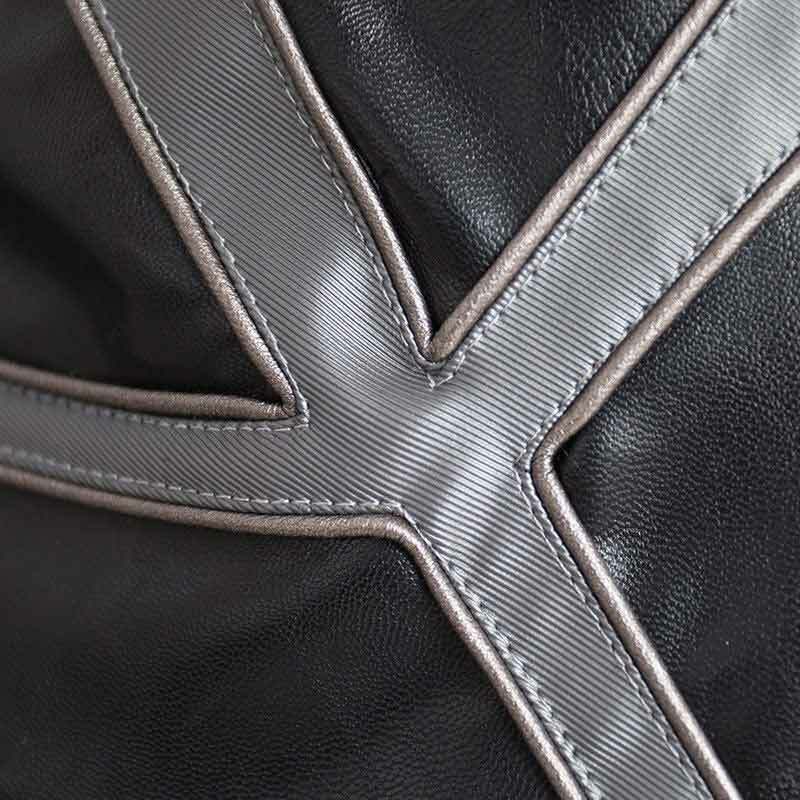 Quality of the leather is true to the spirit and loved its core scheming of linear peripheries on the anterior. Well-made and I appreciate the website honesty to its clothing originality. I think you should topple of all those garment geniuses bragging their top selection of materials. You deserve to be first or at least on top 3 on Google in my point of view. My cousin caught his eye on Bolt Logo, Loved it... it is fantastic I am moved by all the details... speaking from its top quality leather I loved the genuine grab for this one. I have received it 2 days ago its Black Color is simply ravishing and attractive. 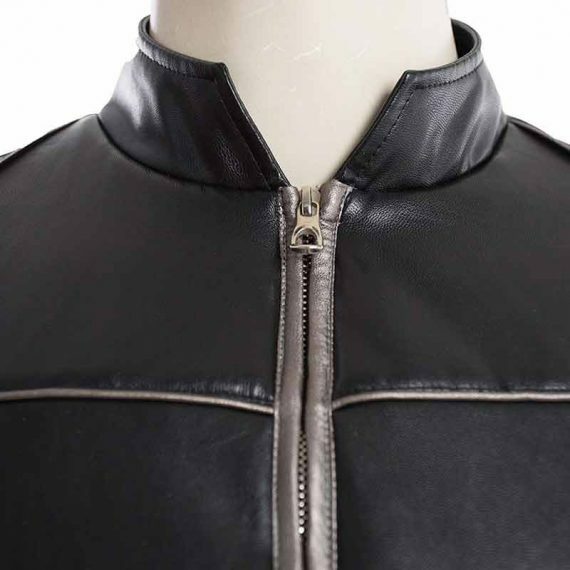 The creative appeal from its stand collar which i usually admire to have with all my outfits.... Zipper Front is fabulous and works smooth like water. My cousin caught his eye on Bolt Logo apart from remarkable full featured Sleeves with Cuffed fashion open is one true great deal of arresting arms.